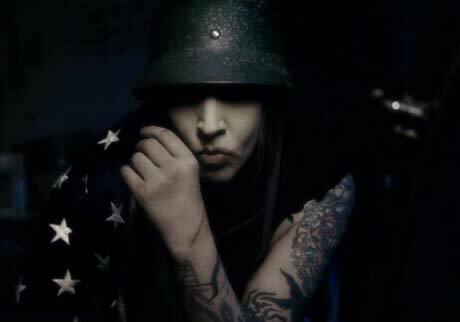 Marilyn Manson is America's favourite scapegoat, as he has been accused of everything from domestic abuse to inspiring the Columbine shootings. Still, we guess that's what happens when you name yourself after a serial killer. The most recent of Manson's legal problems began in 2007, when former keyboardist Stephen Bier filed a $20 million lawsuit against the singer. Bier, who went under the stage name Madonna Wayne Gacy, accused Manson of not paying him and using the money to purchase Nazi memorabilia, taxidermic animals and human remains. Manson responded to the lawsuit by accusing Bier of not fulfilling his duties as a band member and filing a countersuit of his own. Now, the Associated Press reports that the lawsuits have been settled. The only money that will be changing hands will be the $380,000 that has been awarded to Bier's former business managers. Manson insurance company will be required to pay $175,000, while Bier's former business managers will have to make up the difference. The case has not yet been formally dismissed, as various parties are now squabbling over the $380,000. A law firm that Bier sued is seeking $70,000 in legal fees. Even though his insurance company was forced pay to up, this lawsuit is clearly a victory for Manson; not only did he avoid having to pay $20 million, the accusations of Nazi paraphernalia and human remains managed to raise his controversial profile once again.